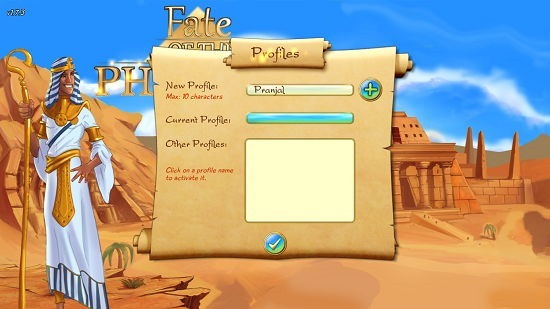 Fate Of The Pharaoh is a free game for Windows 8 and 8.1 in which you have to restore fallen Egypt to its former glory. The game allows for a great gameplay experience where you play as the Pharaoh and have to restore Egypt to how it was before. After the great battle, everything was destroyed and ransacked and hence everything was ruined. The game is split into multiple levels where you have to restore things one by one via means of playing each level. 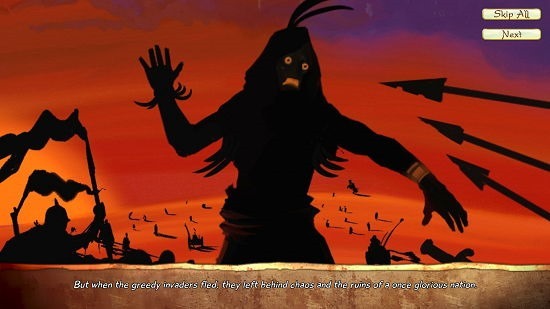 Fate Of The Pharaoh is available for free from the Windows App Store. When you install and run the game on your device, you will be presented with the main screen of the app itself. Here, you will be prompted to enter your name and create a player profile with that name. You can have a glimpse of this in the screenshot below. Once in the main screen, you will be able to type your name, and select the difficulty level of the game from either Adventure Mode or Relaxed Mode. Relaxed mode is a bit easier than adventure mode, so take your pick accordingly. Now you will be brought to the main menu of the game from where you can start the game accordingly by simply clicking on the Play button. Once clicked, you will be taken to the game’s introduction video which is pretty brief, and you can choose to either watch it or skip it altogether. You can see a screenie of the gameplay video below. Once this has been played through, you will be brought to the gameplay screen of the game itself. Here, you will be able to choose the level which you wish to play from the level map. 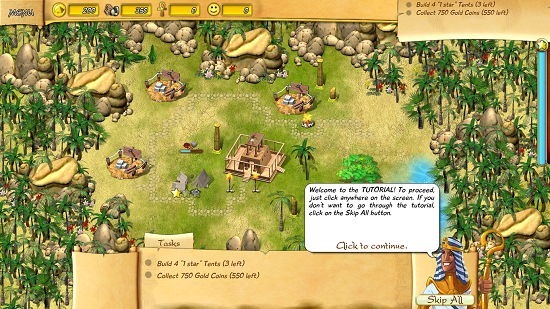 Once you have chosen from the available levels, the gameplay starts. You will be shown a brief tutorial initially. You can click on locations to build homes, etc. at that particular spot. 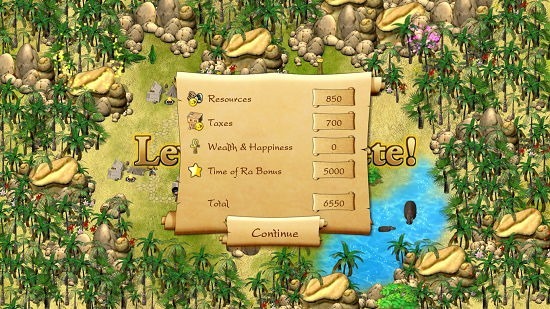 The level’s objectives will be visible at the top right corner. When you click on a particular location, the build menu pops up from the bottom of the screen. You can then choose the type of structure that you wish to build and it will be built up by your faithful servants. Similarly, when you complete all the tasks, the level ends and you are shown your level stats. This concludes the main features of Fate Of The Pharaoh game for Windows 8 and 8.1. 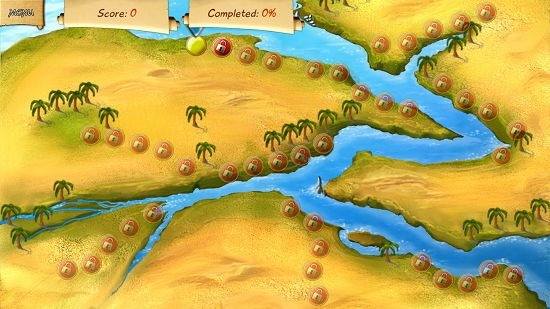 Fate Of The Pharaoh is a very well-designed game for Windows 8 and 8.1. You should definitely check it out! Get Fate Of The Pharaoh.